Indeni offers automated network monitoring solutions. "Currently One of a Kind"
I love the ease of setup for a solution that is so powerful, it can alert you to problems before the become a service affecting issue. There isn't much I dislike to be honest at the moment. I would recommend you to carry out a PoC and utilise the support of Indeni while doing so. They will help you implement the product or leave you to your on devices but will keep check to make sure your ok and things are working. We know if we have issues within our firewall estate before they become services affecting. This can save us large amount of troubleshooting time and the business money from downtime and unexpected service outages to ourselves and our customers. "One of the top products with high value return"
Young entrepreneurship using collaborative business model. It's a win win for both side. 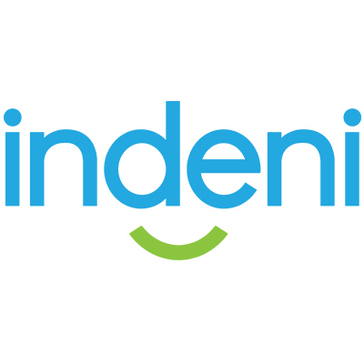 Indeni implementation gives quick results, eliminating operating and maintenance costs. From the management perspective it gives assurance and confidence to the security team through managing and entegrating with indeni. Support is exceptional. We sometimes demand extra things from Indeni like automation, service desk integration and additional product lines entegration. Just test it for a week. you won't believe what is missing from the operational perspecive. We had been looking a real time monitoring solution. After we try indeni, we've belived that this is the best product for real time monitoring. It's a pinpoint. Alerts information and KBs decrease the solution time. Even the vendors demand the indeni alert to clarify the device related issues. Prioritization is a big plus, as the devices are sending many events. Inideni's alert coming with severity levels is a game changer expecially enivironments with hundred of devices. "indeni - Monitoring for you needs"
It works! Out of the box we were able to utilize indeni to the companies benefit. The more time we spent tuning indeni the more benefit we were able to realize. Honestly, I have not found anything that the indenit team does not have on the road map, or already enriched, that I dislike. Use your support and sales team to you advantage; it will be easy to get what you need out of indeni. Simple robust dashboard that allows for quick response to the issues at hand. Easy to configure device backups; indeni also enabled a better solution for after hours alerting for us. "Doing it Right! Doing it Better!" indeni's intuitive gui, simple out-of-box configuration, and the fact it keeps getting better! There are some false positives, but at least we are getting the alert emails; before indeni we were in the dark. You will not regret the insight and visibility into the health of the systems you are monitoring. Able to successfully monitor our Firewalls and set up On-Call Alerting with indeni. The customer service is remarkable at Indeni. Deployment was easy and the product works almost flawlessly. On those rare occasions where we need assistance, support is quick to help. Our account manager and sales engineer are both extremely knowledgable and friendly. They are incredibly engaged with us as a customer. Features and requests for enhancements are delivered when promised. I have only good things to say about the service. There isn't much I would say that I dislike. We use Indeni for network monitoring primarily. Indeni allows us to be more responsive and be aware of problems as quickly as possible. "Indeni is great tool to use for monitoring network devices"
Easy to use and fast alert system to notify. Best of all, great support team and fast response to help customers like us. Yes definitely I recommend others considering Indeni since it is easy to implement tool and very informative particularly Checkpoint security gateway servers monitoring. We use Indeni for monitoring our Checkpoint security gateway servers on daily basis. It is very helpful when the system resources are going down and if there are issue occurs any time 24x7x365 by automated scripts. Ease of use, the concept of preemptive monitoring and an amazing Indeni team to work with. I would like to see more features around automation and improvements in the Web UI. Make sure you get your hands wet with the product and try out the most important feature that you require in a lab environment. "Good Check Point monitoring tool. " Maybe hardware information like an SNMP. People should consider using the Indeni Product as a Check Point Monitoring system that generates important events that leads to good maintenance and monitoring of Check Point Family Products, that could be follow up upon events created. This events are not like a logging system as a What’s Up Gold Indeni is a specializes reading the correct system files to identify what could be wrong, Indeni is a system to help Check Point Administrator with the monitoring and maintenance job, and also can alert on critical situations, like a cluster failover, cluster configuration, time mismatching and much more. Maintenance of a syncronization information between cluster members. "Niche player with good potential"
The system looks pretty solid, I am unable to find a bug in latest version. Ease of use and performance is OK for me, hw requirements are low. Network hardware support is limited. There're no universal hardware templates. Unable to monitor Linux-based appliances. I am quite happy with performance and ease of use. More results can be obtained during evaluation. It functions well as monitoring tool, and this is what users are expecting. monotoring of large platforms with several checkpoint clusters sending alerts both individually by team and by cluster. lack of feedback on resolved tickets, more detalis.
" the maximum for checkpoint device"
monitoring capacity, example: VPN Downs, Hardware and software expired nearing, cluster change state active and pasive, etc. "Indeni has a Great development team"
"Great pro active monitoring tool"
* We monitor all Indeni reviews to prevent fraudulent reviews and keep review quality high. We do not post reviews by company employees or direct competitors. Validated reviews require the user to submit a screenshot of the product containing their user ID, in order to verify a user is an actual user of the product. Hi there! Are you looking to implement a solution like Indeni?